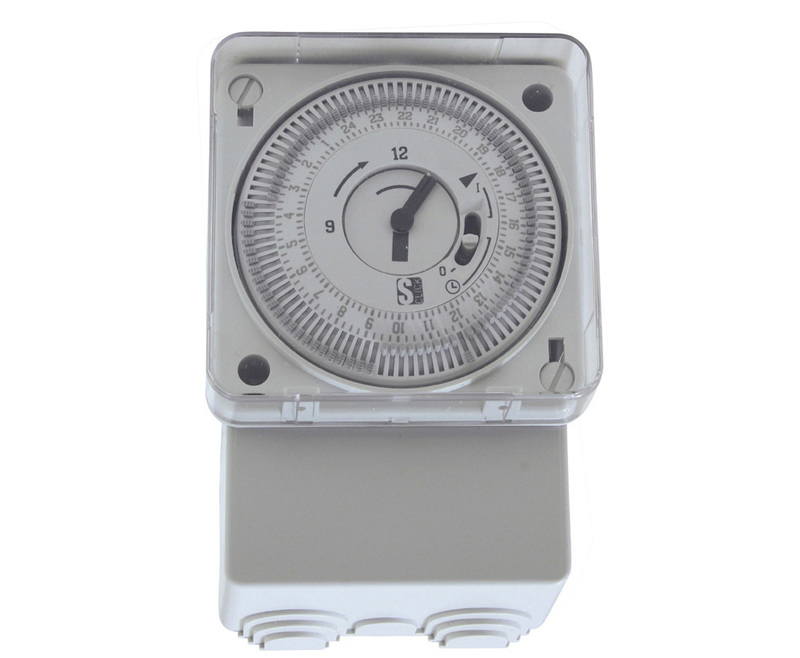 CTS-64B Analogue Universal Time Switch with Large Screw Terminals Perfect for Stranded Conductor! The CTS-64B is an analogue universal time switch suitable for recessed, surface mount and DIN mount applications. The product features large screw terminals which are designed for stranded conductor to suit Australian requirements. Captive pins make the switch easy to program, with a sealable housing to protect against tampering. Ideal for HVAC, lighting, machinery control and pumps control. Circuit diagram and line drawing available, refer to the product Datasheet.